One of the tallest statues of Our Lady is found in Montana, USA in the city of Butte. Its sits on the East Ridge overlooking the city as the third-tallest statue in America. 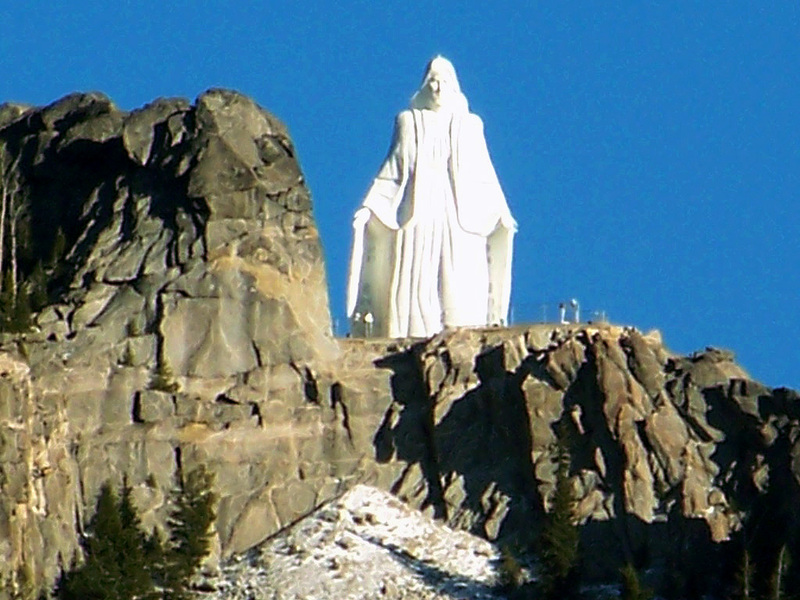 This 90-foot-tall homage to the Blessed Virgin Mary, set 3500 feet above the valley floor, is known as Our Lady of the Rockies. In 1979 Butte resident Bob O’Bill's wife was nearing death from cancer. O’Bill, who worked as electrician in one of Butte’s surface mines, prayed that his wife be healed, and promised to build a 5-foot statue of Mary in his yard if God answered. SHARE this TRUE Story and Show the World what the Power of Faith Can Do! When his wife made a full recovery, O’Bill and his friends tried to fulfill the promise, but the plan soon developed to building a huge statue on a mountain. The statue of Our Lady was finished in 1985. Leroy Lee, designed and welded the statue’s three pieces. Almost every piece of the project was donated: the land on top of the East Ridge, the heavy machinery needed to cut a road up the mountain itself, the cement base for the statue, and the labor. As more men lost their jobs due to the recession, they freely donated their time to the project. Even the volunteers’ families held benefit dinners and bake sales to make up for any intermediate costs. The placing of the three-piece, 60-ton statue atop the mountain, requiring a National Guard unit and Sikorsky S-64 Skycrane, was given to them. the fuel needed was costly but, miraculously, every tank was found to be completely filled with gas. Each one of Leroy Lee’s welds when constructing the statue were inexplicably perfect, as he recounts in the documentary made last Christmas.